To be included, please send us an email. 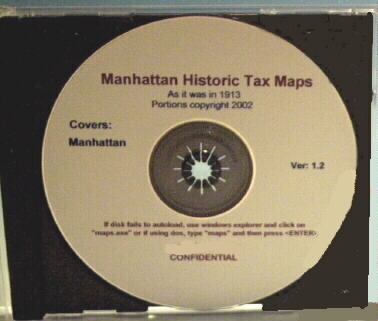 This cd rom is a land book containing every block and lot tax map covering all of Manhattan, as it was in 1913. It is historically fascinating, and to some degree, still accurate. 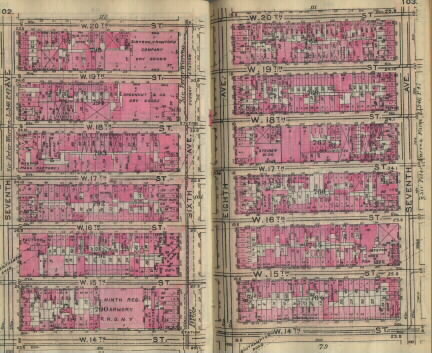 You can look up a particular address or block and lot and see how the block was at the time. The map indicates the buildings "foot print" on the lot and the lot size. 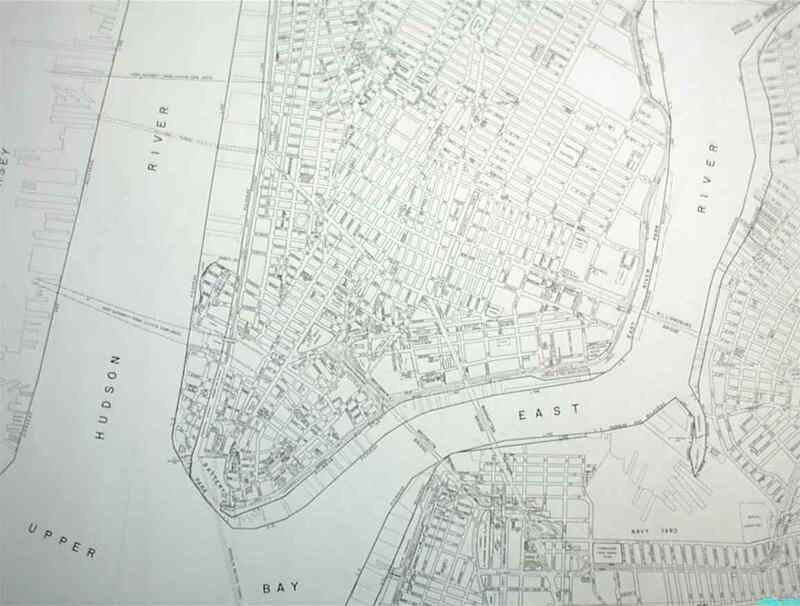 Many key buildings are noted by name or by industry. 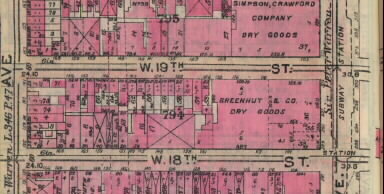 It shows the original street names, subway and trolly lines and other information that a real estate person would want to know, just after the turn of the century. This cd-rom is memory intensive and requires a minimum of 128 megabytes to work, with more memory recommended. It is designed to run on an IBM or compatible computer. terms. Thank you for your cooperation. Price is for a one year license.